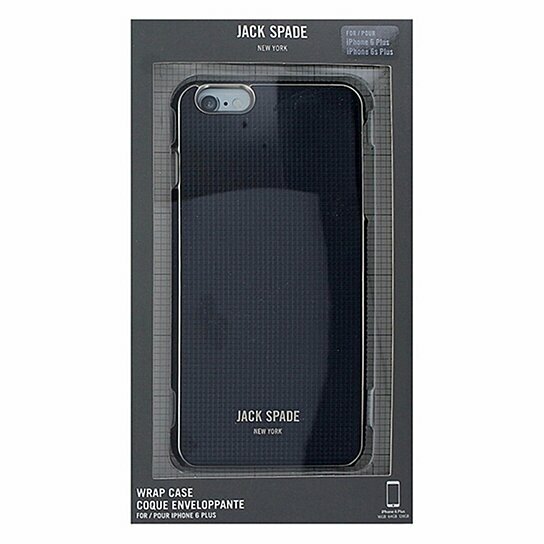 Jack Spade products, Hardshell Wrap Case for Apple iPhone 6 Plus (5.5" inch) and iPhone 6s Plus. Silver trim with a Navy Blue textured wrap around the whole case. Protect your device from everyday scratches, bumps, and accidental drops.